Emmet Cahill, award-winning Irish tenor and principal singer with the popular Irish music show Celtic Thunder, returns to Holy Name of Jesus Catholic Church for a concert on Thursday, March 14 at 7:30 PM. Last March Emmet performed to a sold-out audience at New York’s Carnegie Hall; he has been a guest artist with several US symphonies. 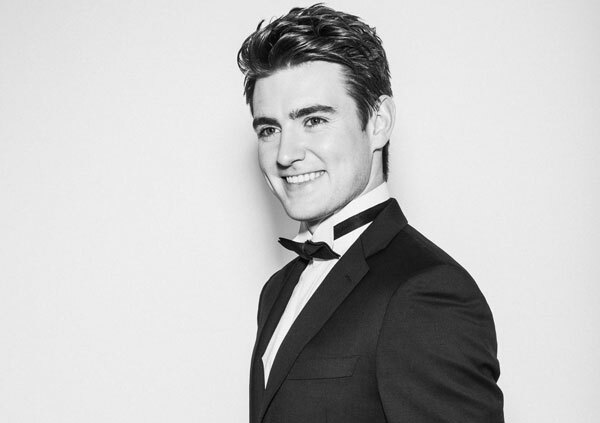 Following up on his debut orchestral album “Emmet Cahill’s Ireland,” which went to number one on several World Music charts, Emmet will perform selections from his brand-new album of traditional Irish classics. He’ll also sing Broadway standards, nostalgic favorites and church hymns, plus there will be a special performance with The Robert Sharon Chorale. And no Emmet Cahill concert is complete without the ever-popular “request medley” segment, which often brings surprises from the audience.